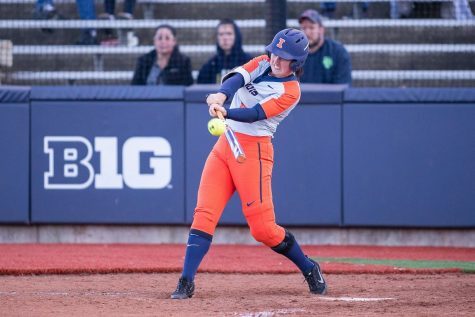 Senior Breanna Wonderly’s dominant pitching led the Illinois softball team to a 3-0 sweep of the Iowa Hawkeyes this weekend in Iowa City, Iowa. In the first game of the series, Wonderly pitched the 12th no-hitter in program history, helping the team to a 8-0 wins. The only batter to reach base for Iowa was junior Kaitlyn Mullarkey, getting hit by a pitch in the first inning. 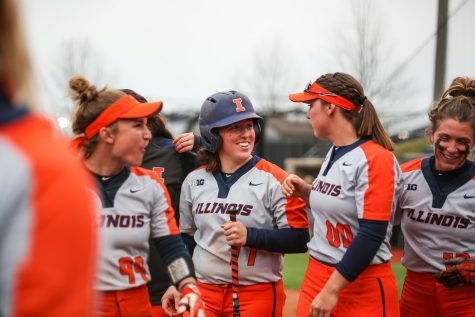 Sophomore Kiana Sherlund and senior Nicole Evans led the Illinois offense at the plate. Sherlund went 2-3 and drove in two runs, while Evans hit a two-run homer in the first inning. Evans continued to have a strong presence offensively in the team’s second game Sunday. She hit another two-run homer in the third inning to give the Illini a 2-0 lead. Evans leads the team with 11 home runs. Iowa was not much more successful against Wonderly in her second outing. The Hawkeyes only got two runs off of her with the second run coming late in the game. Evans started the seventh inning off with an RBI single, and sophomore Stephanie Abello batted Evans in with a single to right field. 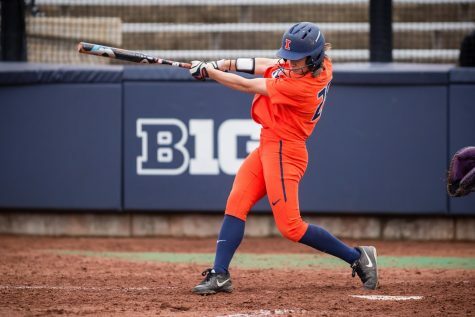 Redshirt freshman Veronica Ruelius followed up Abello’s RBI single with one of her own, giving Illinois a 5-1 lead over Iowa, which it would not recover from. The Illini won, 5-2. 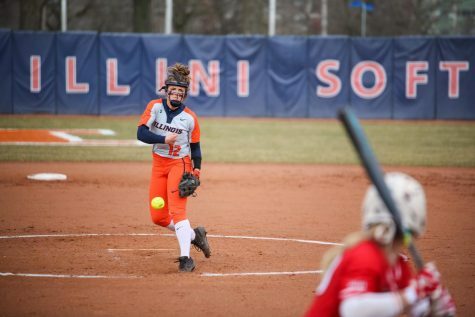 Wonderly pitched another complete game for the Illini, giving up two runs, four hits, two walks and striking out two to get her ninth win of the season. 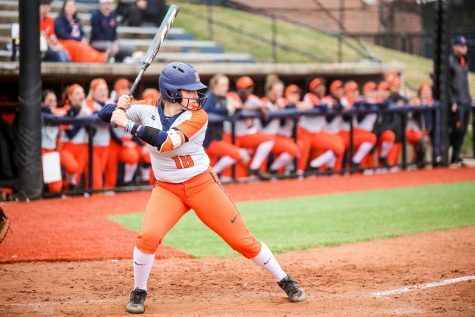 The Illini continued with their hot bats in the series finale. 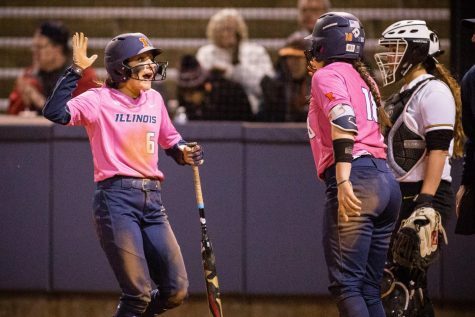 Illinois scored two runs in the fifth inning to get itself on the board. However, the Hawkeyes quickly responded with three runs of their own in the bottom of the inning. They led 4-2 going into the sixth inning. Abello hit a two-run homer in the top of the sixth inning to tie the game. Junior Maddi Doane then hit an RBI single to give Illinois the 5-4 lead. 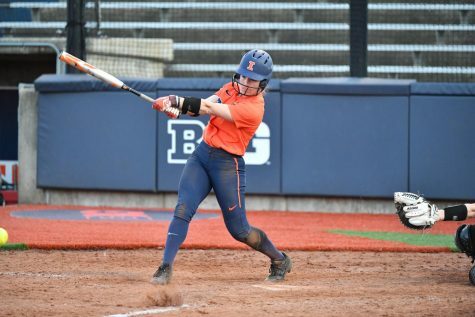 Abello’s RBI double and junior Rowan McGuire’s RBI single in the seventh inning secured a 7-4 victory for the Illini. “As coaches, we just talked to them about staying calm and not waiting till the seventh inning to get things going,” Perry said. Junior pitcher Erin Walker got her third win of the season after coming in for sophomore Taylor Edwards in the fifth inning. 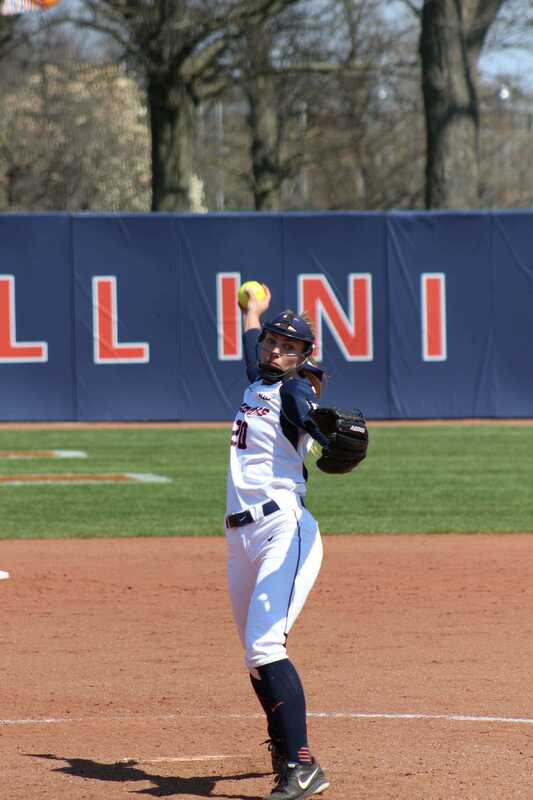 Wonderly got the save in the game when she pitched 1 2/3 scoreless innings for Illinois while not giving up a hit. 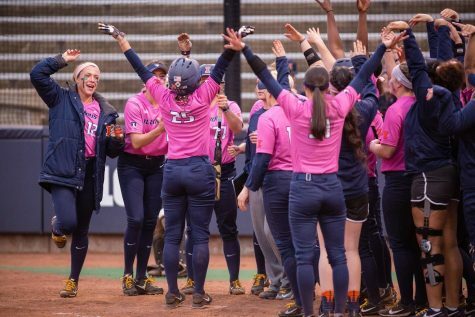 With their sweep of the Hawkeyes this weekend, the Illini move to 22-8 on the season and 3-0 in Big Ten play. Their next game will be on Wednesday at home against Illinois State.